It’s official. Ingrid is now showing with Forre Floria Gallery in Aspen. Gallery owner, Ania Forre was at Ingrid’s studio today to look at Ingrid’s newest work. Ingrid and Ania discussed many things, not least of which, was getting Ingrid’s work into the gallery as soon as possible. Aspen has a lot of personal importance to Ingrid and her work. Her first one-person exhibition was in Aspen in 2007. That extraordinary show sold out within hours of arriving in the gallery – a full 3 days before the official opening of the exhibition. Aspen was the home to her and her husband’s gallery for 18 years as well. There are a lot of loyal collectors who will welcome the addition of Ingrid’s work in the expansive Forre Floria Gallery. Earlier this year, well-known and respected gallery owner, David Floria joined forces with the Forre Gallery (the name changed from Forre Gallery to Forre Floria Gallery). Ingrid had a one person exhibition with David in 2010, which was also an unqualified success. David has been a long time friend of Ingrid and Jay, and we are happy he has added his wealth of talent and knowledge to this outstanding gallery. Thank you David and Ania. Ingrid is grateful to be showing in your beautiful gallery. 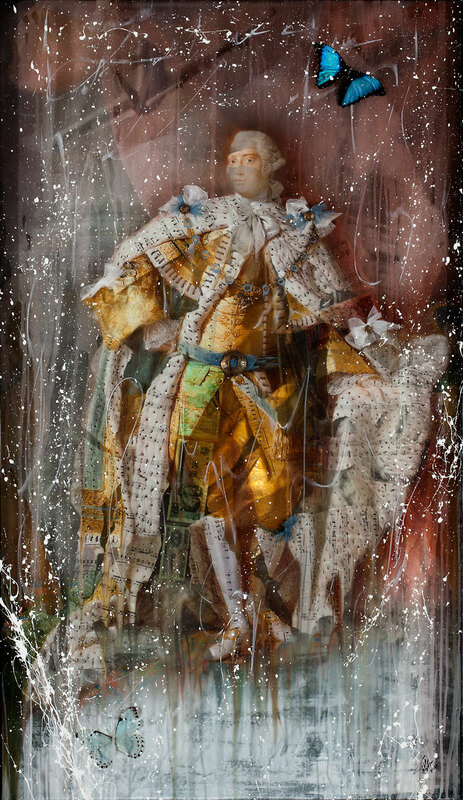 This entry was posted in Aspen, David Floria Gallery Aspen, Forre Gallery, Ingrid Dee Magidson, Layered Mixed Media and tagged Ania Forre, Art, Aspen, Colorado, Contemporary art, David Floria, Forre Floria Gallery. Bookmark the permalink.